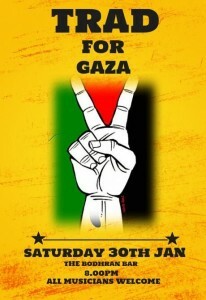 Returning for Dundalk’s annual TRAD FOR GAZA night. A celebration of Irish music involving and welcoming all musicians to raise awareness for the innocent men, women and children of Gaza. Last years night was an unbelievable night of music. We hope to make this next one even BIGGER and BETTER.